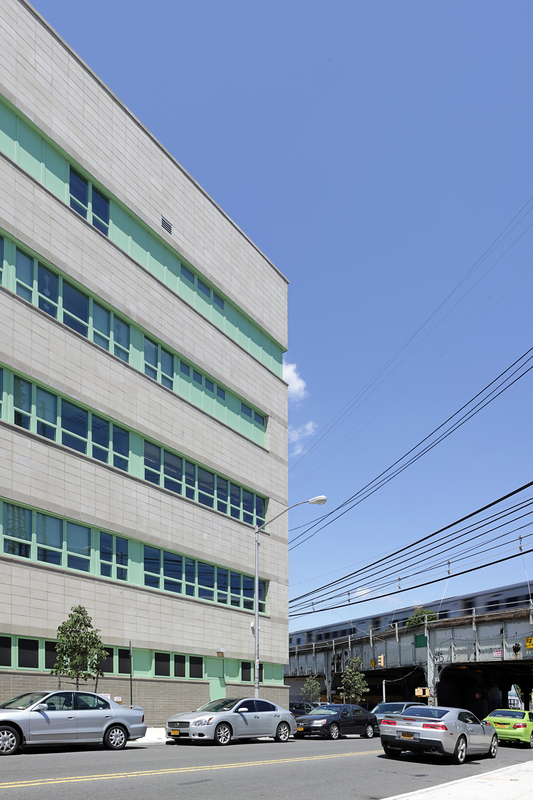 A new school for the New York City School Construction Authority in Woodside, NY. 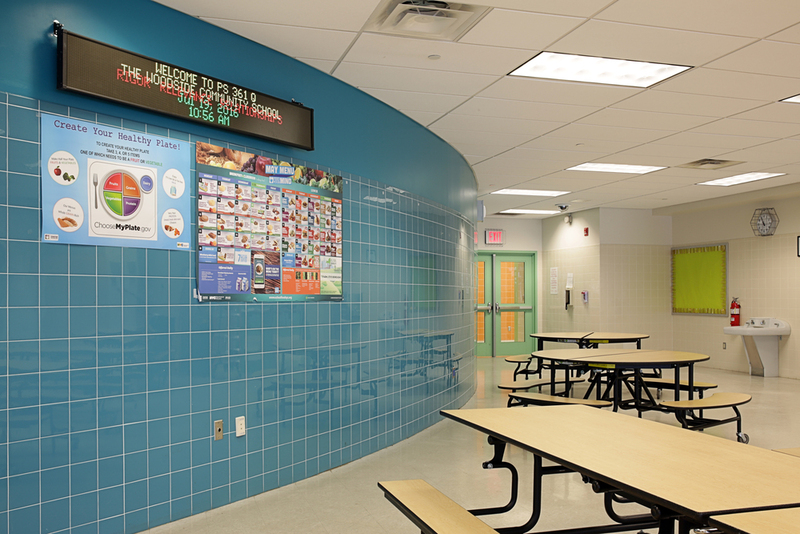 The school accommodates 472 students from pre-kindergarten through fifth grade. 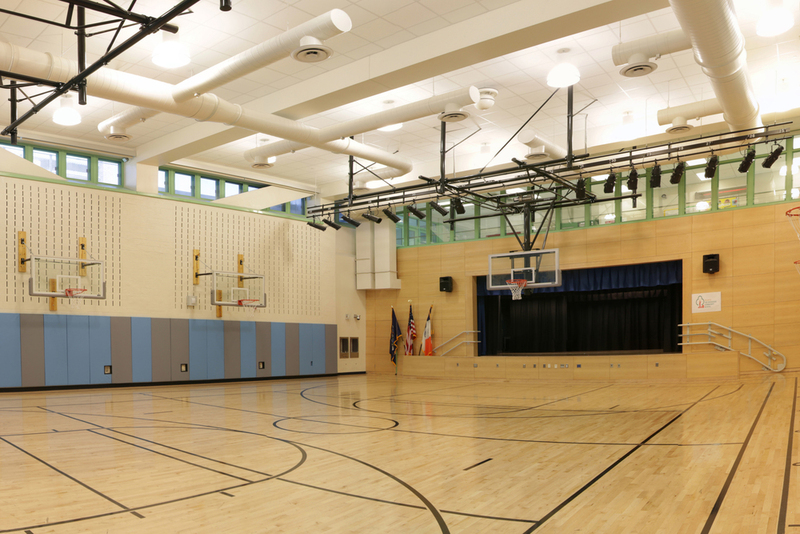 In addition to 22 traditional classrooms, it features resource rooms for small group specialized instruction; music and art classrooms; gymatorium, library, cafeteria and kitchen facilities; administrative and guidance offices; medical office and a community activity room. The project involved construction of a 72,000 SF building and site planning. 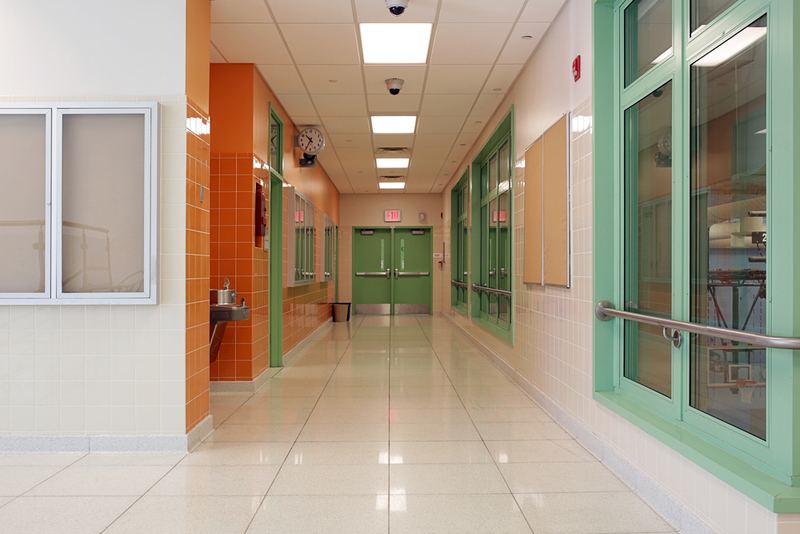 The design scheme features a walkway extending from the street to the main building entrance, located within the interior of the site and giving the school a campus-like ambiance. A grand architectural stairway leads from the ground floor to a basement-level gymatorium, is visible upon entry into the main lobby via glass wall panels. 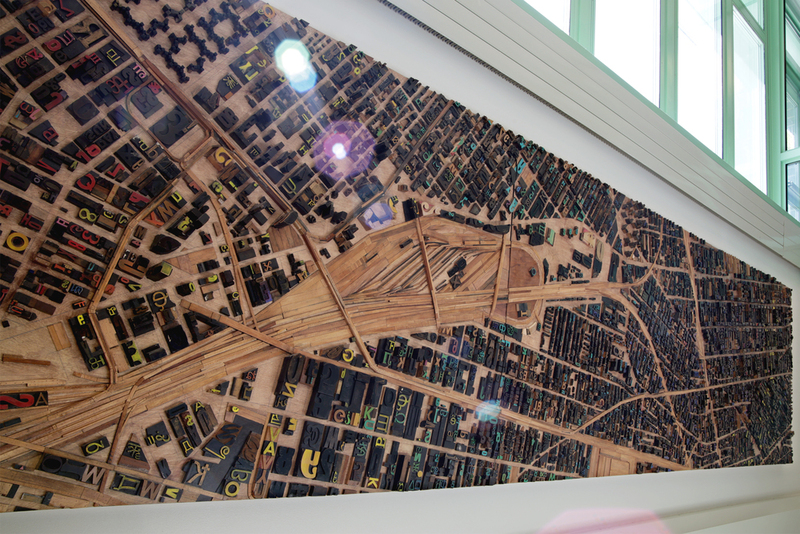 The site of the new school is on the edge a residential neighborhood of predominately two-four story apartment buildings; some single family residences; and light manufacturing facilities. An elevated railroad corridor and bridge to the north and east of the site, generates noise and creates vibration concerns for the site due to its close proximity. High performance materials, technology and specialized foundation systems were employed to mitigate those conditions. The orientation of the building results in the placement of the play yard in the northwest corner of the site. 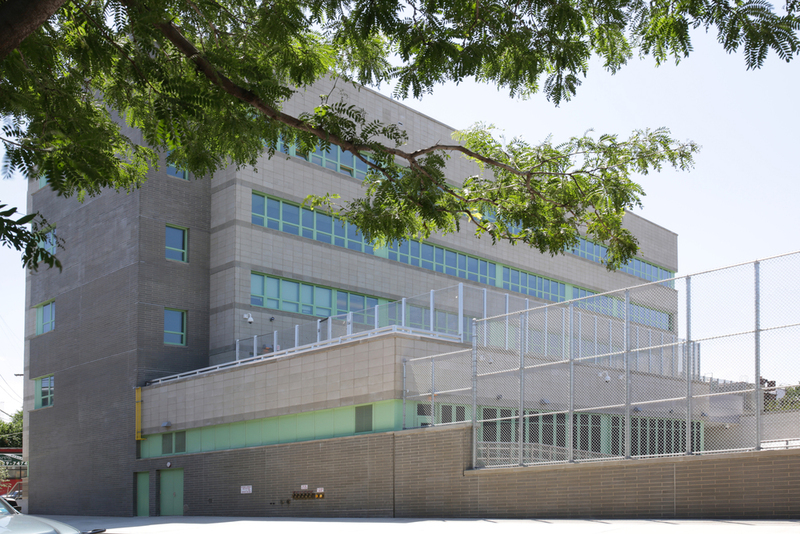 The play yard’s exposure to both 39th Avenue and 57th Street facilitates the use of the play yard for the queuing of students during the morning drop-off and afternoon pickup sessions. 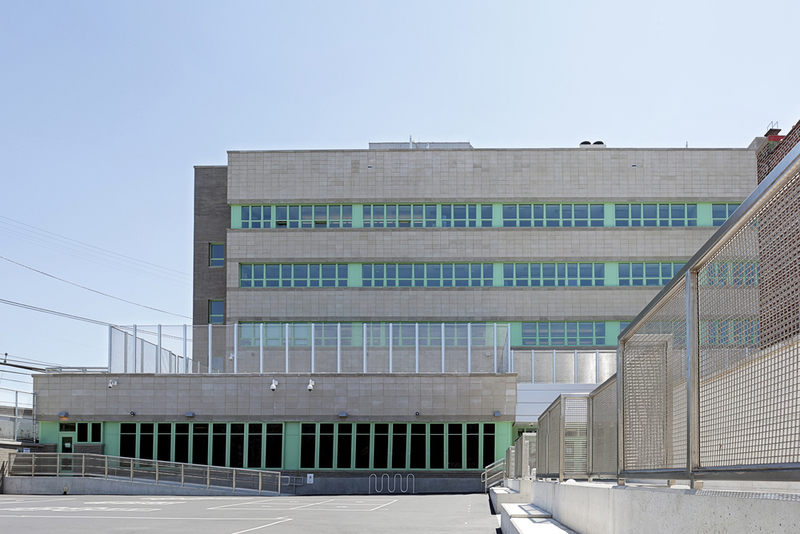 The protrusion of the cafeteria volume on grade level allows for a rooftop ECC play area accessible from the second floor where the Pre-Kindergarten and Kindergarten classrooms are situated. The classrooms for the older students are located on the third and fourth floors.